Insult meet injury. 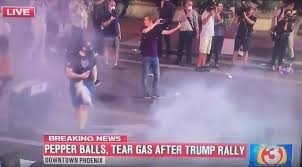 This antifa protester just got arrested, presumably for the assault his groin committed against that perfectly innocent tear gas canister. First, he needed a doctor. Now he needs a lawyer. His life just got worse.